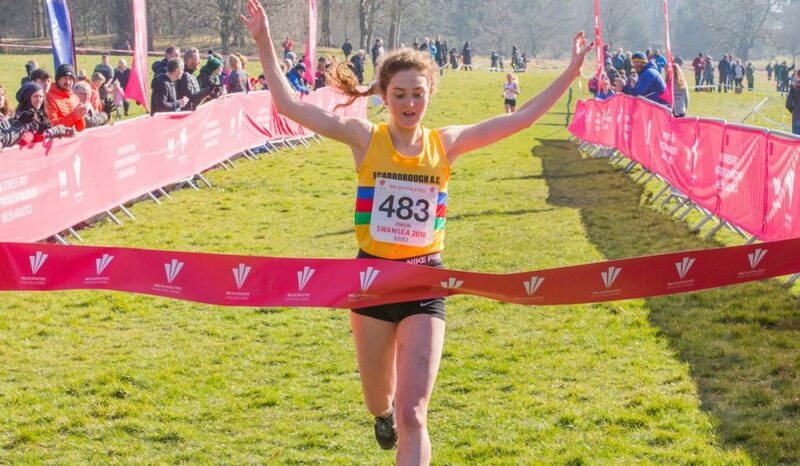 Mhairi Maclennan and Kris Jones win Scottish national cross country titles, while James Hunt and Bronwen Owen star in Swansea to clinch Welsh crowns. 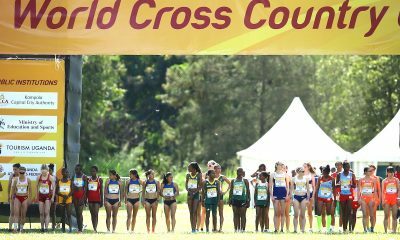 British international Mhairi Maclennan, who finished ninth in 2017, got the better of pre-race favourite Steph Pennycook to win the senior women’s crown at the Lindsays Scottish Cross Country Championships on Saturday (February 24) in Falkirk. 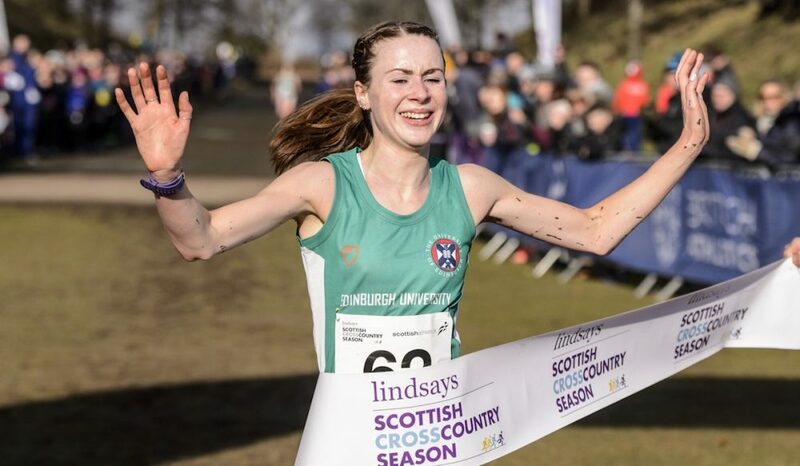 Competing for Edinburgh Uni Hare and Hounds, Maclennan won by 11 seconds in 37:49 to claim her second major cross country title this year after winning the North of England crown in January. Pennycook took silver in 38:00 and the top two’s placing ensured Edinburgh Uni won the team gold. Victoria Park AC’s Anna Tait completed the podium in 38:36. Kris Jones moved one step up the podium to win the men’s Scottish title. After finishing second last year, Jones and third-placed Lachlan Oates were expected to battle it out at Callendar Park and that was exactly what happened with the two men taking gold and silver. 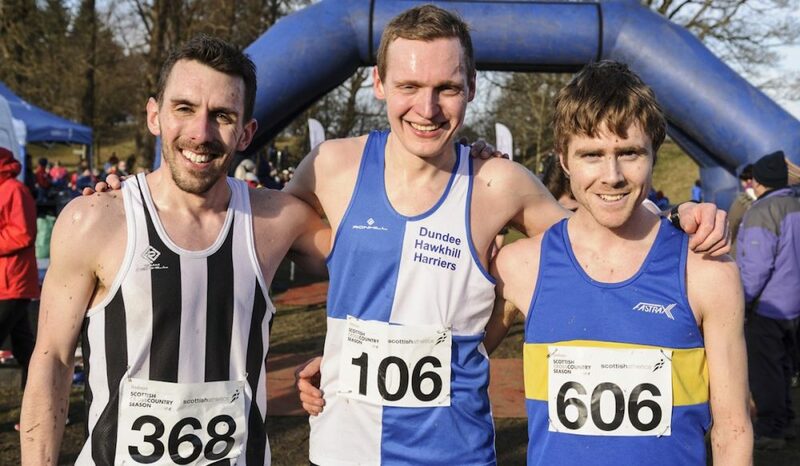 Competing for Dundee Hawkhill, Jones proved his decision was correct to sit out the Armagh 5k earlier this month due to a niggle and not risk injury before today’s Scottish Nationals. Orienteerer Jones won in 33:05, with Oates second in 33:29 over the 10k course. The third man was Inverclyde AC’s Andy Douglas in 33:37, with Central AC winning an eighth consecutive team title. It was a Glasgow Uni one-two in the men’s U20 race, with the ever-improving Sol Sweeny taking gold ahead of Tristan Rees. Edinburgh AC’s Freddie Carcas completed the podium, with Glasgow Uni winning the team title. Anna MacFadyen won the Scottish U20 women’s crown, with club mates Laura Stark and Naomi Lang making it a complete Edinburgh Uni Hare and Hounds podium to secure the team title. Video highlights of all the races, including drone coverage can be found here. 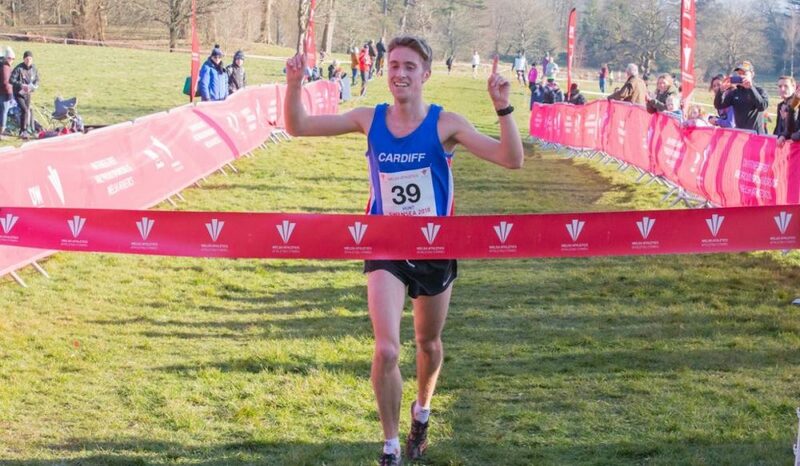 Cardiff AAC’s James Hunt claimed his first Welsh senior men’s title at Singleton Park with a 19-second win over Swansea Harrier Philip Matthews. 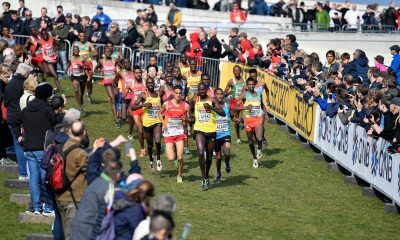 Hunt, who finished runner-up in last year’s Welsh 5000m championships on the track, opened up a sizeable gap on his two main challengers in the closing stages of the race to win in 30:45. Matthews took silver in 31:04 and led the Swansea charge to another team gold. Completing the podium was Tipton Harriers Gareth Griffiths. After making his comeback from injury in Armagh earlier this month Dewi Griffiths was eyeing a seventh straight title, but after featuring among the four leading men, unfortunately, had to pull up around halfway into the 10.1km race. 2015 U20 champion Bronwen Owen won a first senior crown with a fantastic final lap to beat last year’s winner Beth Kidger. After two laps it was defending champion Kidger out in front, but the young Leeds Uni triathlete was right on her heels before pouncing in the closing stages of the 6.4km race. Competing for Scarborough AC Owen’s won in 21:31, with Kidger settling for silver this year in 21:42. Winchester & District AC Melanie Wilkin took bronze in 22:19. Fourth and sixth place finishes from Sian Edwards and Alaw Beynon-Thomas ensured Swansea Harriers regained the team title from Cardiff AAC. It was a Swansea one-two in the U20 men’s race with Conor Smith taking gold with a ten-second win over Dominic Smith. Swansea rivals Cardiff AAC also enjoyed a one-two of their own in the U20 women’s race with Abi Fisher taking the win from Gracie Wheeler. Third was Mia Roberts with Cardiff taking team gold. 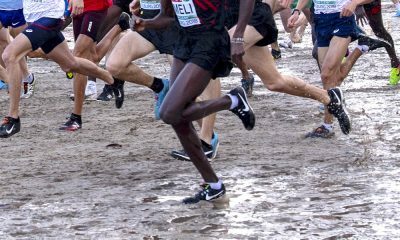 At Lurgan Park, City of Derry’s Declan Reed and Rebekah Nixon of Dromore AC won the Northern Ireland & Ulster senior cross country titles. Reed won the men 12k crown from multiple time winner Mark McKinstry of North Belfast Harriers, with Springwell RC’s Neil Johnston taking bronze. 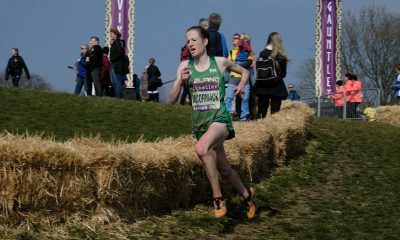 Northern Ireland international Nixon clinched the women’s title after getting the better of defending champion Jessica Craig in the final lap. North Down’s Craig was beaten to silver by clubmate Rachel Gibson and settled for third. City of Derry AC retained the men’s team title, as did North Down AC in the women’s.